I'll take you for a ride. Travelling is my passion. I have been through over 20 different countries - I lost count after my fourth trip to Europe. As long as the number exceeds my age, I'm satisfied. I'm an avid backpacker. I don't just want to see the world. I want to experience it. I travel in a unique way. 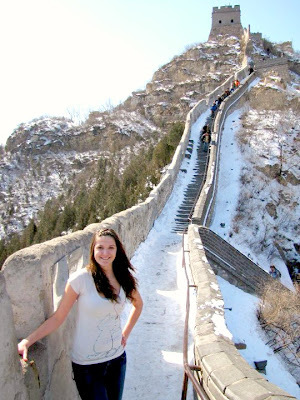 I have climbed the Great Wall of China in snow, worked on a farm in Normandy, France, and volunteered at an orphanage in Bali, Indonesia. Backpackers are constantly sharing information, stories, and advice. I'm not doing this because I make money off of it (which I don't) or because I think I know it all (which I definitely don't). I am simply doing this because it's what I love to do. Enjoy! At only 19 years old, I have already stepped foot into over 20 different countries. Some pessimists may claim my adventure has come and gone, but the reality is — it’s only beginning. I have done and seen incredible things, and I’m not prepared to stop exploring. Traveling is a part of me. It fuses with the blood in my veins, beating through each pulse of my heart. Exploring is my ecstasy, alongside coffee and chocolate. I am a travel writer, basketball player, and proud Canadian. Everywhere I go, I am intrigued by new people and diverse cultures. I invite you to follow me and vicariously experience the world with me. I am not a constant blogger; when I post it will be worth your while. Life is a rollercoaster, so strap in and enjoy the ride. I love living, and I live to learn. So I’ll discover the world, and myself, in turn.